An elegantly shaped ballpoint pen that's worth writing about! These beautiful pens feature a matt silver body with polished chrome plated fittings. They have a twist mechanism to retract or propel the black ink refill, and are suitable for Parker Pen style ballpoint refills. 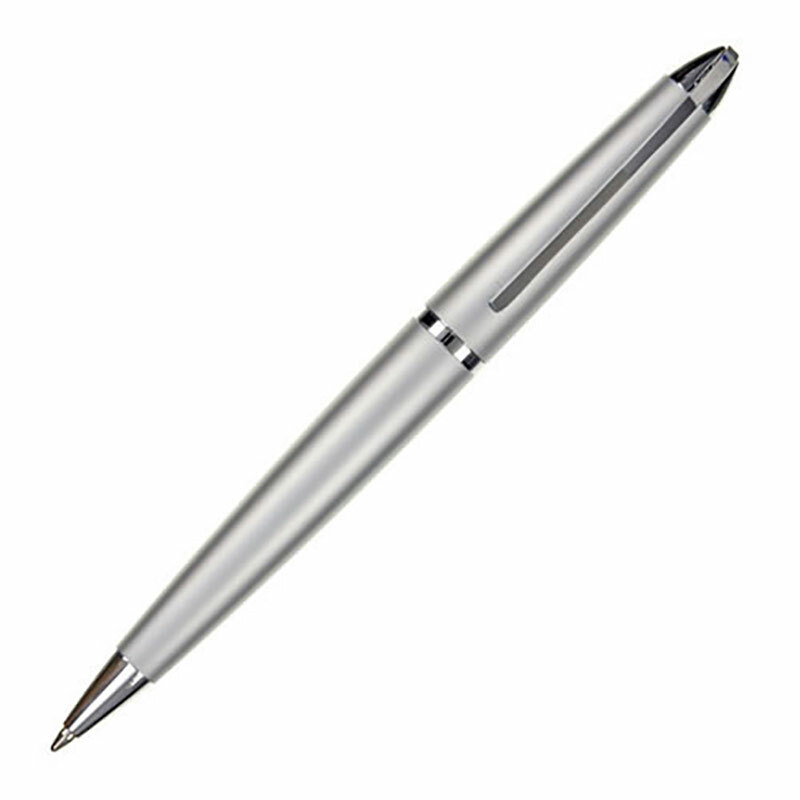 Perfect for corporate merchandise or business gifts items, these silver plated ballpoint pens are supplied with a pen box and are offered with FREE ENGRAVING of text and logos along with fixed price UK delivery.